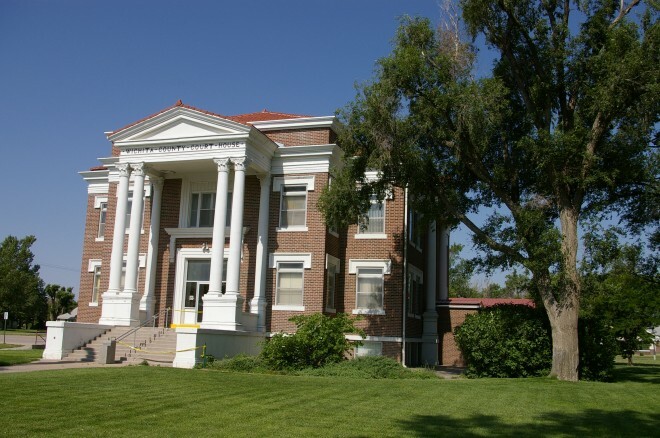 Wichita County is named after the confederacy of Caddoan Indians. Description: The building faces east and is a two story red colored brick structure. The building fhas four large portico on the east side supported by four large columns. There are two large columns on either side of the entrance. The center section projects from the main building. The roof is hipped. 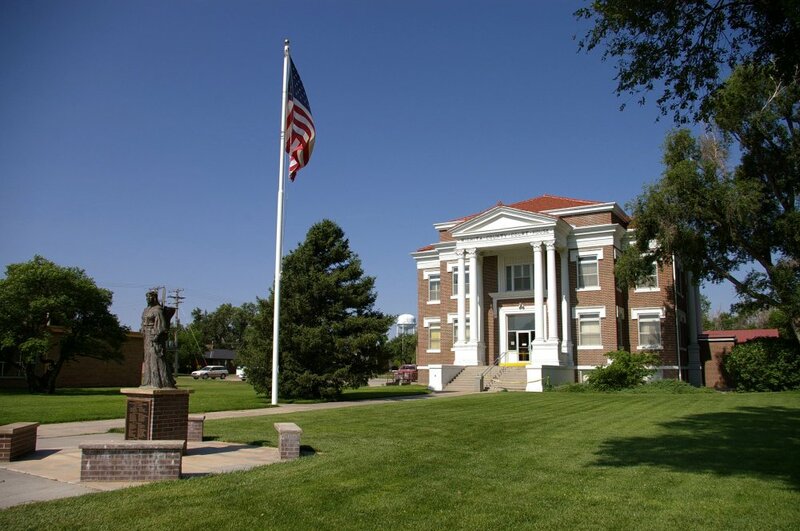 Note: This courthouse is simplier to the courthouse in Wallace County as the architect and contractor were the same for both courthouses. Also, the courthouse in Pawnee County was designed and constructed by them. 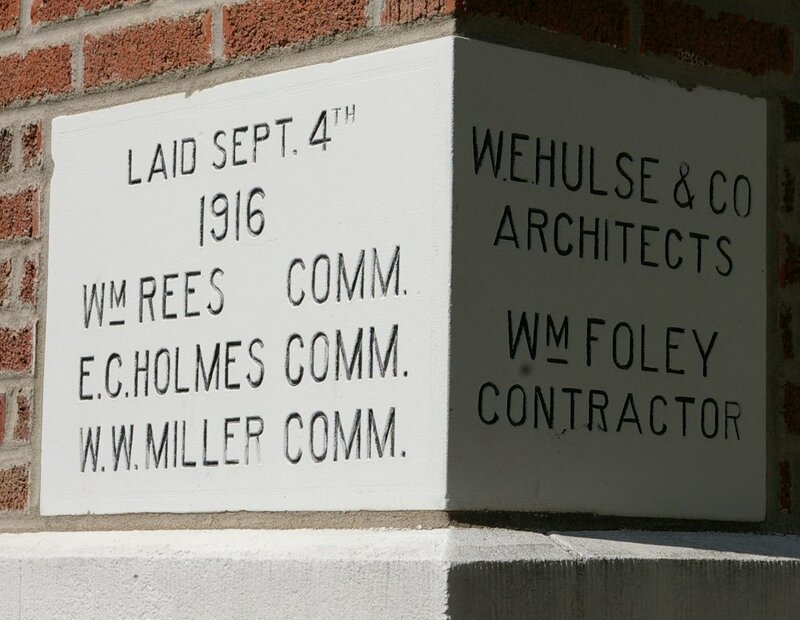 Note: The architect, William Earl Hulse & Company of Hutchison, designed courthouses in Barton County, Brown County, Kiowa County, Osage County, Pawnee County, Reno County and Wallace County.